Kay Kratky is to be appointed as the new Chief Executive Officer (CEO) of Austrian Airlines. The Executive Board of Deutsche Lufthansa AG will propose him for this position to the Supervisory Board of Austrian Airlines on May 12, 2015. He would succeed Jaan Albrecht as CEO of Austrian Airlines as of August 1, 2015. As reported, Albrecht will switch to SunExpress, a joint venture of Lufthansa and Turkish Airlines.“After a difficult period Austrian Airlines is well on track to further expand its position and become competitive. Now the focus is on a resolute modernization of its fleet and strengthening of Vienna as an air travel hub. Kay Kratky is an ideal candidate to enable the airline to successfully continue along this path”, says Carsten Spohr, Chairman of the Executive Board and CEO of Deutsche Lufthansa AG. 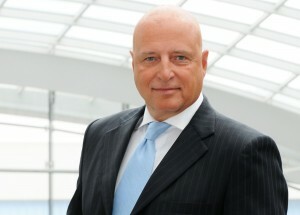 Kay Kratky (57) has been a Member of the Executive Board of Lufthansa Passage Airlines since 2011. As Chief Operating Officer (COO), he is responsible for flight operations and the Frankfurt hub with about 20,000 employees. Born in Frankfurt, Kratky concluded his studies in mechanical engineering at the Technical University of Darmstadt before beginning his professional career at Lufthansa in 1979 by training to be a pilot. He became training captain and fleet commander on the Boeing 747 and assumed the position of Head of Operations Control at Lufthansa Cargo AG in 2001. After serving as Head of Transport Management and MD11 Captain, he was appointed to be Managing Director of Jade Cargo International, Shenzen, China in 2008. Since 2011 Kratky has worked as COO and Member of the Executive Board of Lufthansa Passage Airlines. At today’s extraordinary meeting of the Supervisory Board, Kay Kratky was confirmed as the new Chief Executive Officer (CEO) of Austrian Airlines. He had been nominated beforehand as the candidate preferred by Lufthansa. Kay Kratky will succeed Jaan Albrecht as CEO and Chairman of the Management Board of Austria’s national carrier on August 1, 2015. Albrecht will leave Austrian Airlines on June 1, 2015. In this interim period, the months of June and July, Chief Commercial Officer Andreas Otto will bear sole responsibility on the Management Board. COO Klaus Froese and CFO Heinz Lachinger will continue to be members of the extended board. Kay Kratky (57) is currently Member of the Executive Board of Lufthansa Passage Airlines. As Chief Operating Officer (COO), he is responsible for flight operations and the Frankfurt hub with about 20,000 employees.